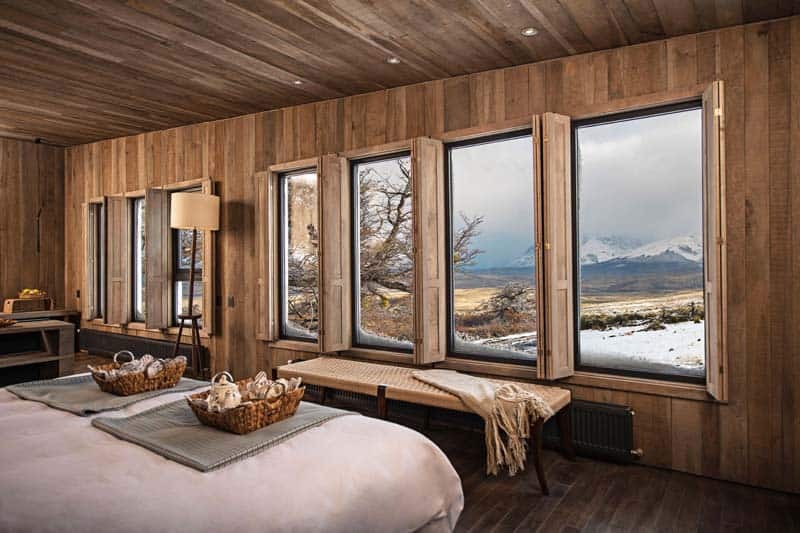 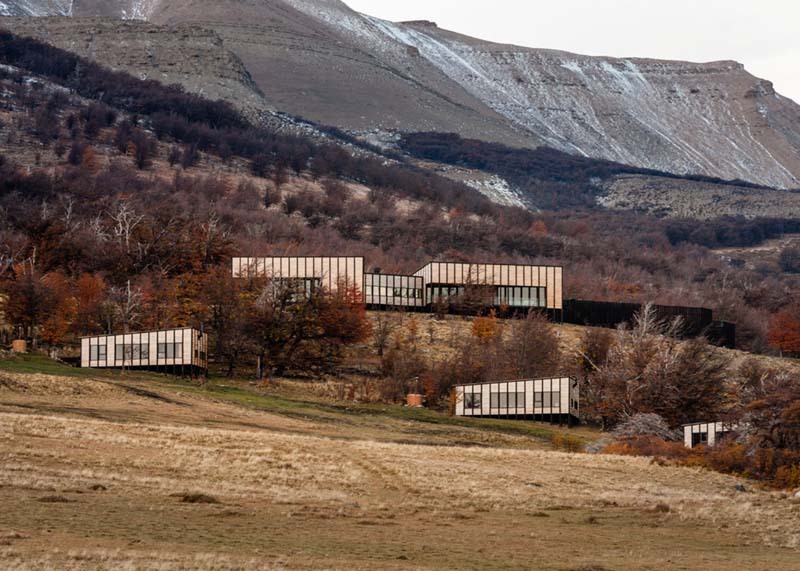 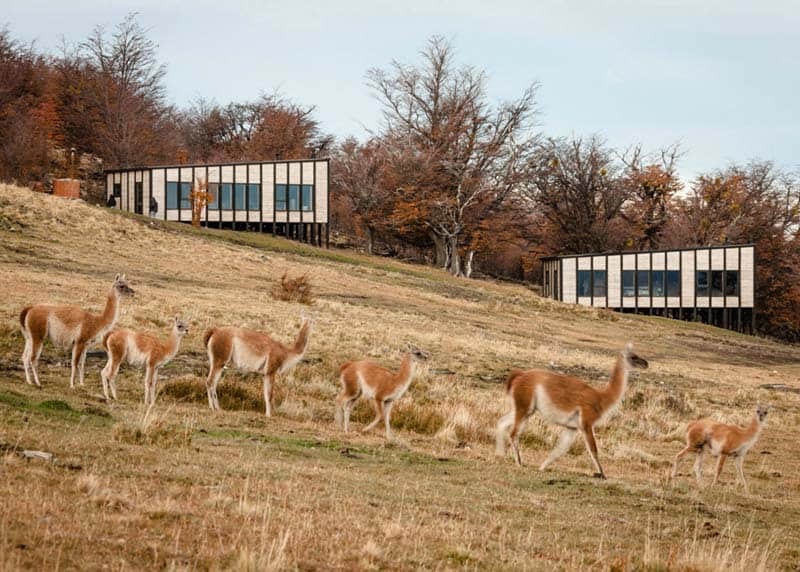 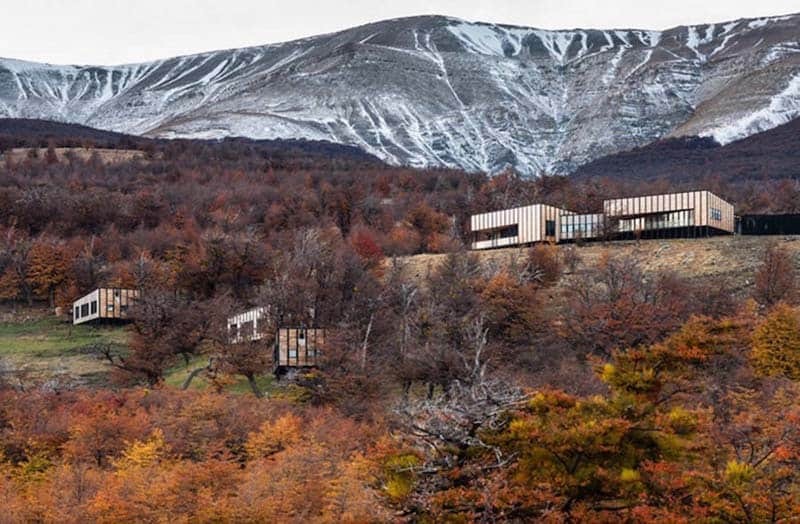 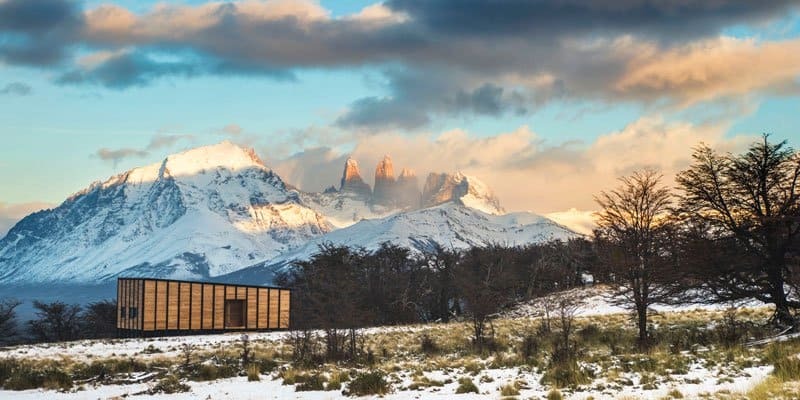 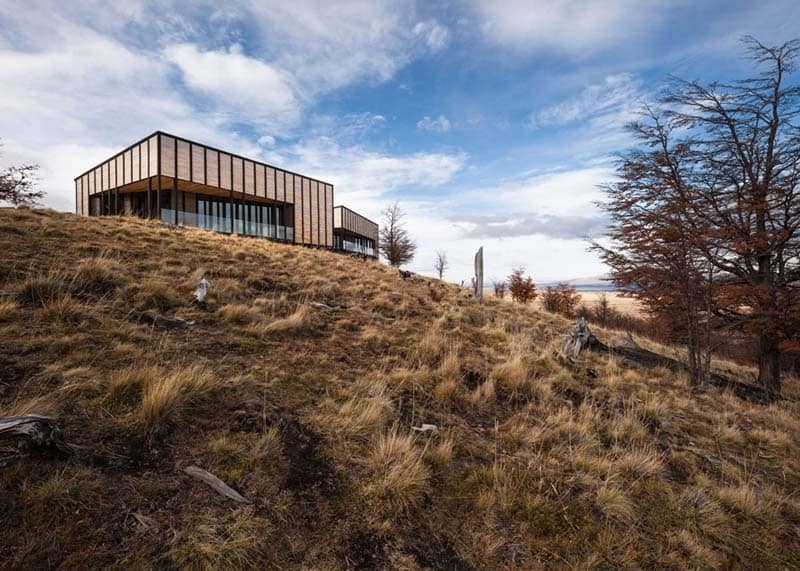 This hotel/private chalet was commissioned in Chilean Patagonia, some 6 kilometers from Torres del Paine National Park. 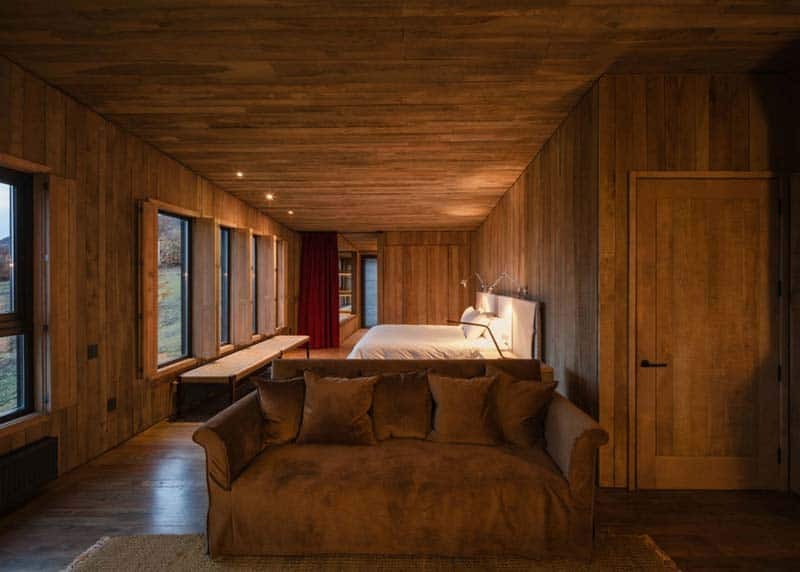 The project consists of 12 rooms plus their respective common areas. 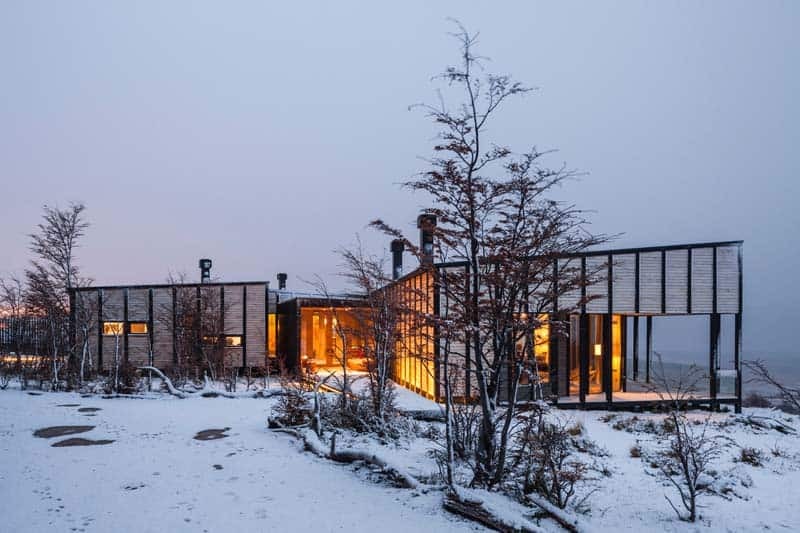 The architecture of both the cabins and their common areas were inspired by the traditional building style of southern Chile, where structures are outside the enclosures themselves. 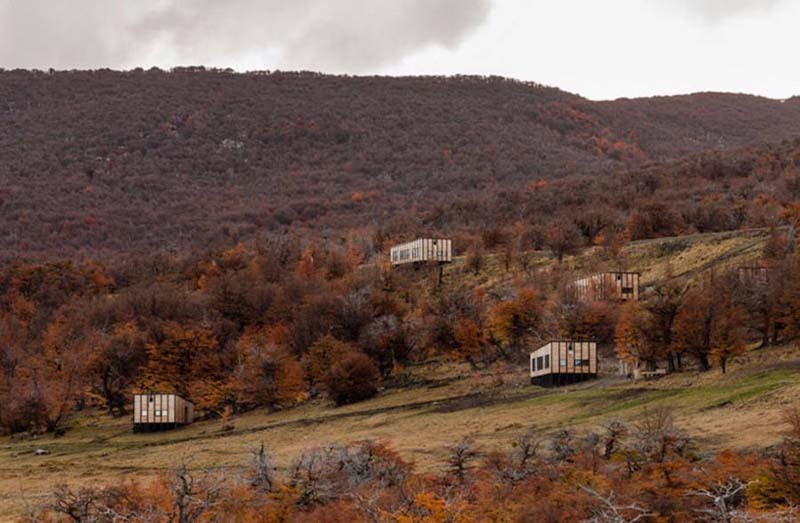 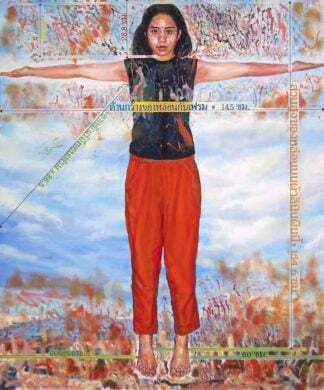 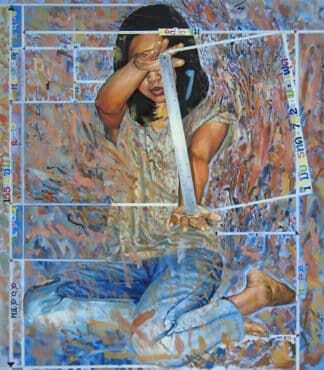 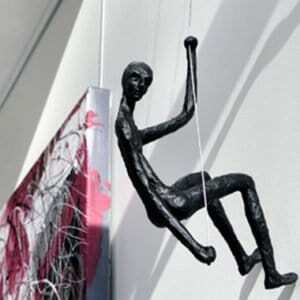 Meanwhile, the unsteady and highly moist soil informed the use of stilts and prefabrication. 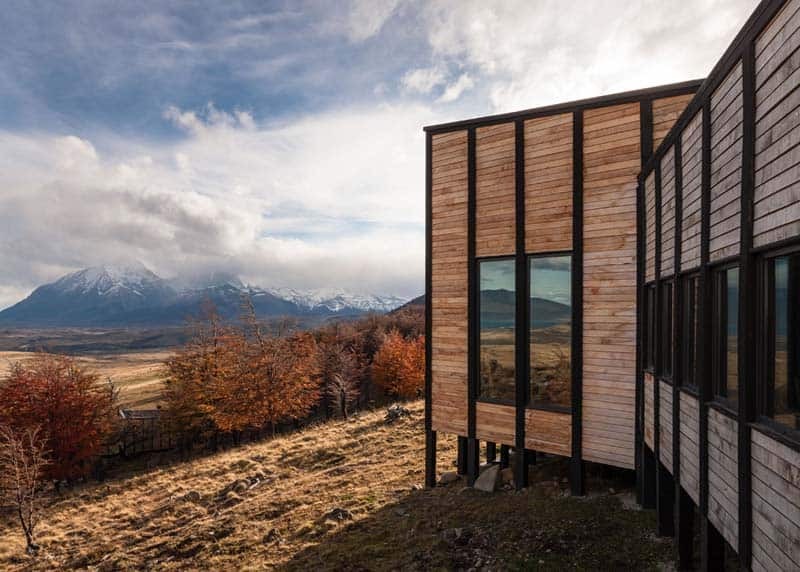 The project was designed to fit the builders, as the project managers avoided designing anything that could not be constructed with local technologies. 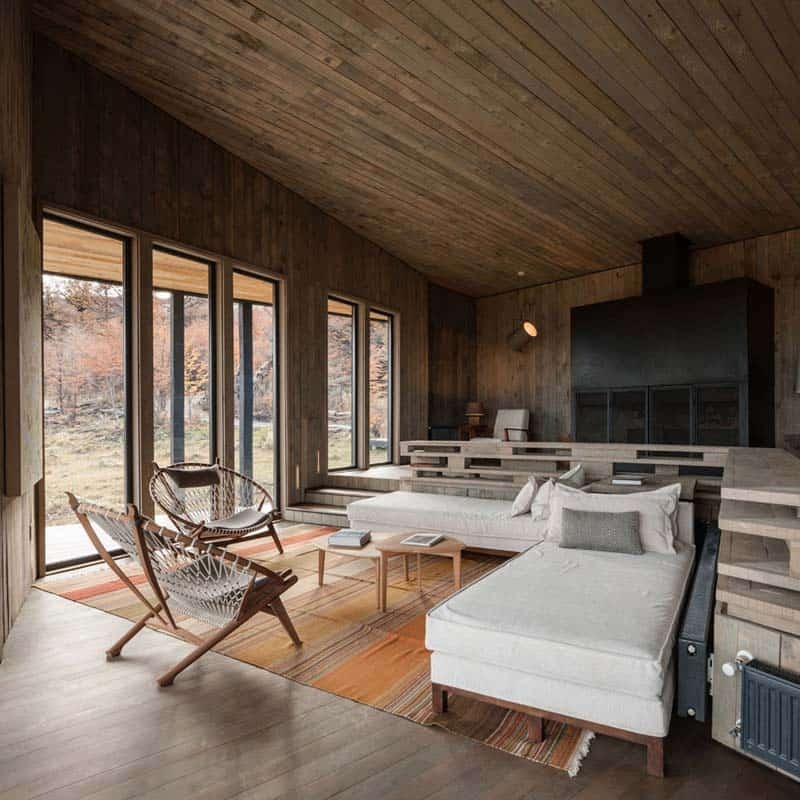 Additionally, there were no sophisticated construction details, therefore the construction team avoided all possible errors that would be difficult and expensive to correct.